Winning football has returned to BYU using a formula that feels polar opposite of what legendary coach LaVell Edwards once did to build the program. The No. 25 Cougars, who play host to FCS team McNeese on Saturday, are employing smash-mouth football to topple opponents these days. BYU has turned from lighting up the scoreboard with dazzling passes to controlling the line of scrimmage and attacking with assorted run plays. No one can argue with the results the formula is producing. BYU (2-1) has roads wins over Arizona and Wisconsin and is back in the AP Top 25 poll for the first time in three seasons. The Cougars are determined to prevent opponents from pushing them around and wearing them down as often occurred a year ago. An ability to control the line of scrimmage helped BYU greatly in all three games. The Cougars allowed the Badgers to gain just 5.5 yards per play in their 24-21 victory. They previously held Arizona to a meager 4.7 yards per play in a 28-23, season-opening win. Even California, which beat BYU 21-18, only managed 5.5 yards and committed three turnovers. It has helped the Cougars bounce back from last year's 4-9 campaign where they ranked near the bottom among FBS teams in nearly every major offensive statistical category. 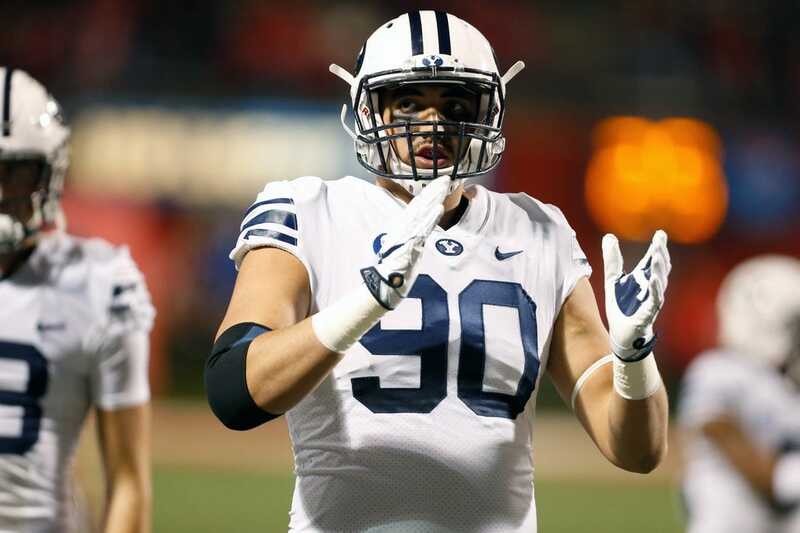 "The culture of the team is taking form and the players believe," BYU coach Kalani Sitake said. "We talked about developing a strong belief in what we're doing and how we play the game, and we're really pleased with the way the guys are doing it." McNeese (3-0) hopes to prove it has the tools to make a run through the FCS playoffs later this season. An upset win over the Cougars certainly would do the trick. The Cowboys are definitely no pushover. They have been dominating opponents on defense in opening with three straight wins for the fourth time in seven seasons. McNeese has allowed only 20 first-half points this season -- two touchdowns and two field goals. On the other side of the ball, the Cowboys have scored on their opening possession in each of their first three games. B.J. Blunt has been a leader in setting a disruptive defensive tone. He tops all FCS players with five sacks through his first three games. Blunt tallied nine tackles, four tackles for loss, three sacks and a fumble recovery in McNeese's 20-10 win over Nicholls last week. "He just keeps getting better and better," McNeese coach Lance Guidry said. "He's the pulse of our entire team. I know he is of the defense. He rubs off on everybody with the way he practices and the way he carries himself." Guidry told American Press of Lake Charles, La., about facing an FBS-ranked opponent, "I don't ever worry about getting our guys up to play. Our guys think they're going to win. They really do. We as coaches think we're going to win. We think we're just as good of coaches as anybody else, and our players think they're just as good of players as anybody else." He added of the Cougars, "They have a good football team. They're hot right now, and they're not going to overlook us by any means. (Sitake) might be telling them about what we did to Nebraska years back. He'll get his team ready to play for us for sure." This is the first meeting between the two schools. BYU is 11-0 against FCS teams over the past 20 years and has not lost to a lower division opponent since 1960.